Take a romantic weekend trip to one of these beautiful lodges, inns and hotels in North Carolina. Hike in the scenic Blue Ridge Mountains, play golf at a famous resort, relax on the beaches, photograph one of these beautiful lighthouses or head to Asheville, Charlotte, Winston-Salem or Chapel Hill to visit museums, beautiful gardens and great restaurants. 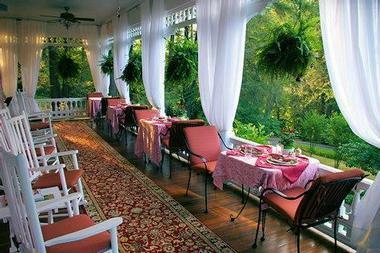 Here are some of the best romantic weekend getaways in North Carolina. The Swag, located in Waynesville, offers luxurious accommodations, award-winning service, and breathtaking views, a perfect romantic North Carolina weekend getaway. The Swag is one of North Carolina’s most idyllic mountain retreats, complete with 14 individually decorated suites with elegant furnishings, thick woven rugs, original artworks, and handmade quilts that echo the beautiful surroundings. Most rooms have wood-burning fireplaces, spacious en-suite bathrooms with soaking tubs and steam showers, as well as private balconies boasting beautiful views. The Swag is an all-inclusive inn that serves seasonally-inspired menus at an award-winning restaurant, including gourmet breakfasts, picnic lunches and multi-course dinners, accompanied by fine wines. For the ultimate in rest, relaxation, and rejuvenation, spend the day hiking or zip lining through the forest, followed by a long soak in the outdoor hot tub or redwood sauna. Enjoy a game of badminton, croquet or racquetball and hike the network of trails in Great Smoky Mountains National Park. All-inclusive rates start at $495 per night. Located in the heart of downtown Highlands, North Carolina, high on the Blue Ridge Mountains’ southwest plateau, Old Edwards Inn and Spa is an elegant, upscale resort that offers exceptional comfort and services. Its 42 suites and 39 rooms are large, decorated in a timeless, opulent European style and have original antique furniture and all modern conveniences. Rooms have heated floors, rainfall showers, flat-screen TVs, Wi-Fi, and large beds with romantic canopies. Some rooms even have fireplaces and porches. A gourmet restaurant offers exceptional meals created with local farm produce, while the first-class Old Edwards Club, an 18-hole golf course, welcomes passionate golfers. The resort has several mineral water pools and whirlpools and a full-service spa. Overlooking the Santeetlah Lake in the lush Nantahala National Forest, Blue Waters Mountain Lodge is nestled in the midst of one of the nation’s most beautiful areas. Whether you are looking for a peaceful, relaxing escape or exciting outdoor adventures, Blue Waters Mountain Lodge has something for everyone. Well-appointed rooms are designed to reflect the surrounding landscape with warm wooden finishings, en-suite bathrooms with showers and bathtubs, and plush bedding. Designed to be havens of tranquility, some rooms have beautiful lake views. Enjoy traditional Southern cuisine in the lodge’s friendly and welcoming restaurant which serves breakfast, lunch and dinner. The lodge offers guests a variety of activities, ranging from indoor games such as billiards, cards, and darts to outdoor adventures like croquet, horseshoes, walking and hiking. A well-stocked library boasts much-loved classics and other reading material while an outdoor deck is the perfect place to relax and soak up the views. Rates start at $145 per night. Tucked away on 1,400 acres in the foothills of the Blue Ridge Mountains, the High Hampton Inn & Country Club is a rustic, luxurious mountain inn that promises an exclusive and intimate escape. The hotel boasts 116 beautifully appointed guest rooms, suites, and charming cottages, dotted about the sprawling estate surrounded by the private 35-acre Hampton Lake. Guestrooms, suites, and cottages are comfortably furnished in a classic shingle style that echoes the rugged, yet cozy mountain setting of the surrounding landscape. Interiors boast natural wood from the High Hampton estate with spacious living areas, elegant décor and large en-suite bathrooms featuring large tubs and showers. 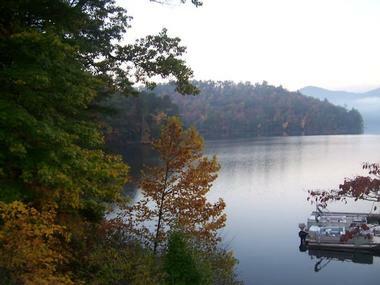 Many of the mountain cottages enjoy wood-burning fireplaces and private porches with glorious mountain and lake views. Diners can enjoy excellent fare in the main dining room which serves a delectable menu of southern cuisine in an elegant setting, or at the Rock Mountain Tavern which opens to a pretty outdoor patio with beautiful mountain views. The resort offers an array of outdoor activities, from hiking, mountain biking and canoeing on the lake, to golf, tennis and activity centers for children. Rooms start at $312 per night. Continue reading for more weekend getaways and day trips in NC. Hidden in the foothills of Western North Carolina, the Bed & Breakfast on Tiffany Hill promises a tranquil romantic getaway. Located just a short drive from both Hendersonville and Brevard, it is ideal for a weekend escape from the city. Seven exquisitely appointed guestrooms and suites are individually decorated with the utmost comfort and luxury, with vast four-poster beds dressed in imported linens, beautiful bathrooms with glass-enclosed showers and soaking tubs, spacious living areas and modern technology such as flat screen televisions and high-speed wireless Internet for added convenience. Some suites feature an exclusive wet bar area complete with a refrigerator, microwave, and beverage service with an option of in-suite dining. Guests receive a complimentary three-course breakfast each morning. 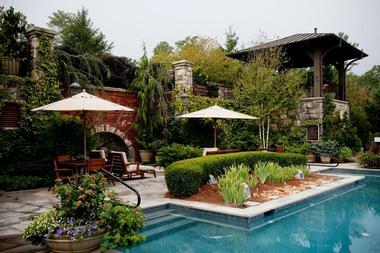 The Bed & Breakfast on Tiffany Hill is ideally located to offer an array of things to see and do, from fly fishing in the Mills River and hiking in the Pisgah Forest to touring the Blue Ridge Parkway, visiting the Biltmore Estate or golfing at one of the excellent local courses in the area. 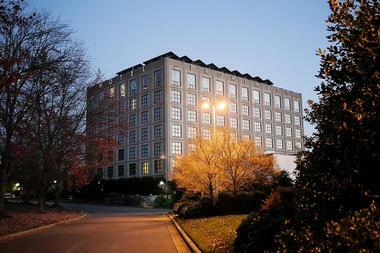 Just a short drive from downtown Greensboro and the Piedmont Triad International Airport, the O. Henry Hotel is a unique, AAA Four Diamond boutique hotel that promises an unforgettable stay. The elegant red-brick hotel features 113 individually styled, oversized guests rooms and suites boasting special Magi Beds, en-suite bathrooms with a separate soaking tub and dressing rooms withcontemporary, custom-designed décor. Guests enjoy state-of-the-art technology with flat-screen televisions and wireless Internet, as well as a complimentary Southern-style breakfast buffet every morning in the beautiful Pavilion or Cloister Garden. Conveniently located just minutes from the beautiful beaches of Ocracoke, Blackbeard’s Lodge is a comfortable, home-away-from-home bed and breakfast that offers accommodations for solo travelers and families alike. The lodge boasts 36 rooms, ranging from well-appointed guest rooms and fully-equipped functional apartments with kitchens to a luxurious presidential suite. Rooms and suites are furnished in stylish décor and enjoy modern amenities, including air-conditioning, satellite TV, private en-suite bathrooms and small refrigerators. Relax on the lodge porch swing with a cool drink or pick a tune on the grand piano in the lobby in front of a crackling wood fire. Swim in the pool, enjoy a game of billiards, air hockey, foosball, or various board games in the games room, or explore the area with the free shuttle service available. The nearby town provides an array of excellent restaurants serving a variety of cuisine, as well as outdoor activities such as fishing and boat charters and finally spa and massage services for some special pampering. Continue reading for more weekend getaways and day trips in NC. The Village Inns of Blowing Rock consist of a number of inns in and around the region of Blowing Rock: the Ridgeway Inn, The Village Inn, Hillwinds and The Castle, all of which offer comfortable accommodations, modern amenities and ideal locales for getting away from it all. All the inns feature rustic cottages, guest rooms and suites with modern conveniences, including fireplaces, 30" flat screen televisions, en-suite bathrooms with showers and/or bathtubs and private balconies with beautiful views. Some of the accommodations boast full kitchens for self-catering purposes, open-plan dining rooms, and Jacuzzis for those looking for romance. Blowing Rock has a variety of amazing things to see and do, from shopping in the little mountain village, whose streets are lined with boutiques, shops, galleries, and antique stores, to fine dining in one of the many excellent restaurants. Just outside the village lies the famous Blowing Rock attractions of Tweetsie Railroad, Mystery Hill, Grandfather Mountain, and the Linville Caverns. Located at the Southern End of the Blue Ridge Mountains, just two hours from Atlanta, Half-Mile Farm is a luxurious country-style inn in Highlands with breathtaking views. Individually decorated in the magnificent Highlands style, guest rooms feature king or queen-size beds dressed in plush linen, en-suite bathrooms with jetted bathtubs and separate showers. Some rooms have fireplaces for extra comfort and private decks or balconies with spectacular views. The Inn at Half-Mile Farm offers a glorious gourmet breakfast every morning, and evening hors d'oeuvres paired with fine wines just before sunset. Highlands has has wonderful restaurants for either fine or casual dining as well. The Highlands area has something for everyone, whether you are looking for relaxation or outdoor adventure, from cultural experiences and antique shopping to white water rafting, horseback riding, and hiking. Built in 1915, The Duke Mansion is a luxurious boutique hotel located in one of Charlotte’s most historic neighborhoods. Whether you're looking for a romantic getaway, a state-of-the-art meeting place or the perfect backdrop for your special family celebration, The Duke Mansion won’t disappoint. 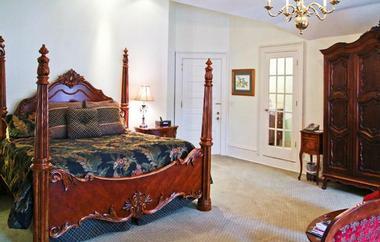 Unwind in one of 20 guestrooms decorated in a charming blend of southern style and modern comfort. Rooms have king or queen sized beds, en-suite bathrooms with private baths and showers, luxurious linens and bathrobes, and deluxe toiletries. In a seamless blend of old-world charm, Tudor-inspired décor and chic, modern amenities, the Grand Bohemian Hotel boasts the luxurious environment of a signature Kessler Collection hotel. Resting against a beautiful backdrop of the Blue Ridge Mountains, the hotel offers deluxe accommodations, fine dining and an array of things to see and do. Beautifully appointed guestrooms range from standard rooms to opulent Executive King Suites, all of which feature plush beddings, imported linens, stylish wooden décor, and custom-designed lighting. The Carolina is a majestic century-old hotel that will make you feel as if you have stepped back into a bygone era of opulence and finery. Exuding a rich heritage nestled deep in the roots of North Carolina culture, sweeping verandas, a copper cupola, and beautifully landscaped gardens create an elegant, old-world charm that has been attracting guests for over 100 years. Boasting 230 Four-Diamond guest rooms and suites, traditional rooms feature either king, queen or double beds with feather-top bedding, private marble bathrooms with showers and bathtubs, and modern amenities such as fast, wireless Internet, LCD televisions, a minibar and safe. Dining is a delight at the Carolina, where you can enjoy award-winning traditional Southern cuisine accompanied by world-class wines in the Carolina Dining Room or relax over a drink in the casually elegant Ryder Cup Lounge. Unwind in style at the exclusive spa at the Carolina with a range of pampering massages, facials, and body treatments. Or head out to enjoy a game of golf on the championship golf course. Experience the art of leisure as you explore the historic village, take a croquet lesson or kayak on our private lake. Plan a weekend getaway at Pinehurst, one of the top resorts in North Carolina. Defined by traditional southern grace and superb hospitality, the Graystone Inn is one of Wilmington’s most luxurious inns. Built in 1905 as ‘The Bridger’s Mansion’, the Graystone Inn is a historic landmark that reflects the elegance and charm of turn-of-the-century grandeur. Beautifully furnished suites and rooms are havens of serenity with elegant décor, spacious bathrooms and private balconies with breath-taking views. Deluxe amenities promise creature comforts, such as satellite television, wired and wireless broadband Internet access, electronic safes, a fully stocked personal mini-bar and a modern tea-coffee maker for that early morning cup. Mingle with other guests and enjoy a complimentary wine and hors d’oeuvres reception, which is served every evening by the fireplace in the beautifully furnished library. Savor a complimentary gourmet breakfast on the dappled shade of the lovely verandah with the backdrop of soft music easing you into the day. Next read: Best Romantic Restaurants in Wilmington, Things to Do in Wilmington. Surrounded by beautifully manicured gardens in the heart of the Blue Ridge Mountains of Western North Carolina, Chetola Resort at Blowing Rock offers historical elegance, colonial grace, and old-world charm. 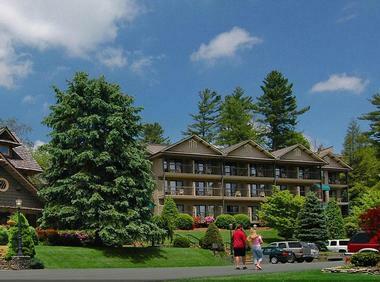 Guest can choose from elegant accommodations in Chetola's Lodge, the Bob Timberlake Inn at Chetola Resort, or luxury condominiums. Boasting beautiful views of the surrounding landscape and the Blue Ridge Mountains, rooms, suites and condominiums are comfortably furnished with warm and welcoming décor. These rooms offer private bathrooms with showers and bathtubs, and modern amenities for added convenience, including flat screen televisions, and wireless Internet. Timberlake’s Restaurant serves a diverse menu inspired by the culinary favorites of world-renowned North Carolina artist and designer Bob Timberlake’s and features three dining rooms, an intimate wine room and waterfront dining on the Patio. Enjoy a drink with friends at the charming Headwaters Pub before or after dinner. Head to the Spa at Chetola Resort whose five treatment rooms pamper guests with a variety of massage therapies and treatments. For added luxury head to the center adjacent to the spa and take advantage of the resort's heated indoor pool, modern fitness room, sauna and Jacuzzi. For outdoor fun and adventure, the resort offers tennis, fishing, hiking, yoga by the lake and a range of kid’s activities. Built in 1892, the Esmeralda Inn is a log cabin-style hotel that delights guests with luxury accommodations, mouthwatering cuisine, excellent service, and breathtaking lakeside scenery. Resting on a wooded hillside in the Western North Carolina Mountains, the inn is renowned for being one of the best places in the region for a romantic and nature-loving escape. Fourteen beautifully appointed guest rooms are comfortably furnished with deluxe beds, wood-burning fireplaces, en-suite bathrooms with hot tubs, and beautiful scenic views. 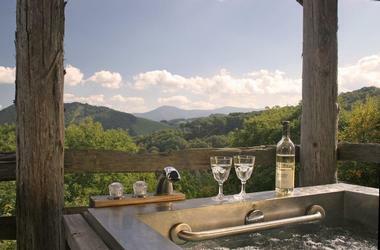 All rooms include the use of the seasonal outdoor stone Jacuzzi. 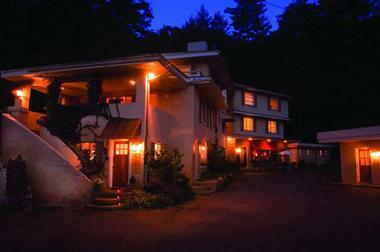 This Chimney Rock bed and breakfast is home to a delightful restaurant that serves homemade cuisine for breakfast, lunch, and dinner, as well as handcrafted cocktails in the evening. The Proximity Hotel is a trendy, hip hotel located in central Greensboro, near the intersection of Wendover Avenue and Benjamin Parkway. The first Platinum LEED certified green hotel in the United States, the Proximity Hotel features contemporary, loft-style guest suites with large windows, stylish décor, and en-suite bathrooms with double vanities. Modern amenities include microwaves, small refrigerators, and coffee-making machines, as well as flat-screen televisions, MP3 docking stations, and free wireless Internet. The hotel also features an outdoor swimming pool, fitness center, and bicycles for hire. Moreover, guests can request in-room massages and other spa therapies. The casual Print Works Bistro, which is open daily for breakfast, lunch, and dinner, serves a range of seasonal European-influenced cuisine and fine wines on the outdoor terrace. The Cedar Crest Inn is a gorgeous 1891 Queen Anne-style bed and breakfast in Asheville that has been providing guests with home-away-from-home accommodation and friendly service for nearly thirty years. The inn is located on four acres of beautifully manicured gardens close to the Biltmore Estate, and it is just a few blocks from the Biltmore Village, which is famous for its beer and arts and crafts scene. The inn offers a variety of guestroom options, from plush, individually decorated guest rooms in the main house to private cottages resplendent with Victorian décor. Rooms feature sleigh beds, en-suite bathrooms with claw-foot tubs, sitting rooms with pull-out sofas, fireplaces, and modern amenities. Cedar Crest Inn offers a flexible breakfast option, and guests can enjoy a hearty three-course meal at a family-size table in the dining room or outside on the terrace. 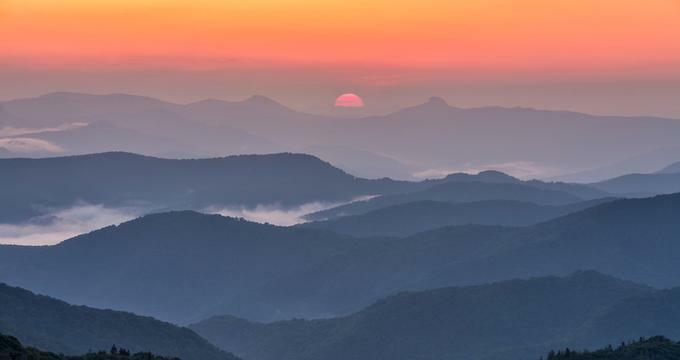 Outdoor enthusiasts can enjoy hiking, biking, and wildlife watching while honeymooners can soak up breathtaking sunsets from the Blue Ridge Parkway. There is also plenty to do in Asheville, including shopping, dining, and other entertainment. For an unrivaled and relaxing getaway with a touch of romance, the Mediterranean-style Lakeview at Fontana won’t disappoint. Located on a forested mountainside with stunning views of Fontana Lake, this intimate and laid-back mountain inn is luxurious, secluded and wonderfully low-key. Charming courtyards, a yoga studio, an in-house spa, and a unique coffeehouse evoke the soul-nurturing feel of a quaint Mediterranean town, where relaxation is the order of the day. Beautifully furnished rooms are elegant and charming with en-suite bathrooms and individual touches such as luxury bath products. Guests can savor freshly baked pastries and French press coffee every morning before heading out into the surrounding woodlands to enjoy the nature trails, mountain pools, and tranquil lakeside. 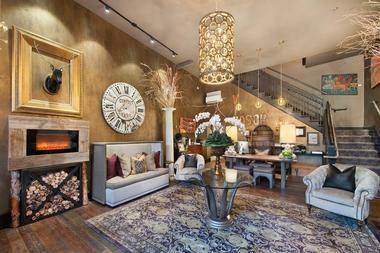 They can also taste local farmstead cheese and wine in the afternoons, followed by an indulgent massage in the evening. Located on the beautiful Biltmore Estate, The Inn on Biltmore Estate promises the grand and gracious hospitality expected with a stay on George and Edith Vanderbilt’s famous property. Surrounded by casual elegance at every turn, with luxurious accommodations, world-class dining, and excellent amenities, the Inn will leave you feeling pampered, relaxed and rejuvenated. Exclusive guest rooms and suites have been designed with Biltmore’s legendary hospitality in mind, featuring rich, ornate décor, plush fabrics and thick carpeting; beautiful four-poster beds and scalloped drapes; and spacious en-suite bathrooms with separate tubs and walk-in showers. Rooms and suites enjoy stunning views of the surrounding estate and mountains. The inn offers a range of superior amenities, including an outdoor swimming pool, spa and hot tub, a state-of-the-art fitness center, twice-daily housekeeping and a full concierge service. Guests can enjoy a range of activities in and around the estate from hiking, Land Rover Adventures and sporting clays to strolling and shopping around the quaint Antler Hill Village. Stay at the Inn on Biltmore Estate, one of the top resorts in North Carolina, or continue reading for more weekend getaways and day trips in NC. The Inn at Glen Alpine is a beautifully restored 1913 country manor house that has been converted into a bed and breakfast, offering a secluded and tranquil country escape. Conveniently located just a few miles from the historic town of Morganton in Burke County, the inn features four luxurious guest rooms, including two suites, which offer all the deluxe amenities associated with a cozy, home-away-from-home inn. Fireplaces with lanterns and candles add a touch of romance, while a coffee and tea machine, ice machine, and dedicated guest wireless Internet add extra comfort. Begin the day with a sumptuous homemade breakfast on the porch or the beautiful dining room before heading out to explore the beauty of the Appalachian foothills that surround the inn. A short drive will take you to some of the region’s best wineries and breweries. Lake James State Park is just 10 minutes from the inn. The Inn on Pamlico Sound is a full-service boutique hotel offering superb waterfront accommodations, gourmet cuisine, and a relaxed, romantic ambiance. 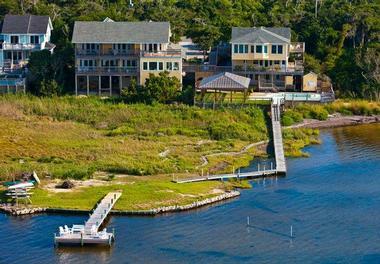 Nestled in the heart of Cape Hatteras National Seashore on North Carolina's Outer Banks, the Inn on Pamlico Sound is the perfect getaway for a romantic weekend break or honeymoon. The beautiful boutique hotel boasts guest rooms with contemporary décor, private bathrooms, and ample space to relax. The hotel has several private decks with beautiful views. Free wireless Internet and guest-use computers are available throughout the hotel. A gourmet three-course breakfast is served each morning, and the 14-seater home theater is ideal for a romantic ‘date night’ or catching up on movies. Complimentary bicycles and kayaks are available for exploring the area on land and sea. Located in the heart of Downtown Asheville within walking distance of some of the best restaurants, shops, and galleries in the area, The Windsor offers unique and upscale accommodations, gourmet cuisine, and outstanding service. Built in 1907, this beautifully restored hotel features 14 luxury suites individually decorated with character and charm. Each suite has a spacious living room, a fully equipped kitchen with washer/dryer, comfortable bedrooms, and private bathrooms with showers and soaking tubs. Hand-selected artwork and décor in the suite create a chic Parisian feel while large windows embrace stunning city views. Relax with an in-room massage or body treatment, or head to the nearby fitness center for a complimentary workout. The Windsor is within walking distance of several excellent fine dining restaurants, cafés, and bars. Established in 1837, The Historic Brookstown Inn is a charming getaway for couples who want a romantic break and a chance to explore the tranquil town of Winston-Salem. 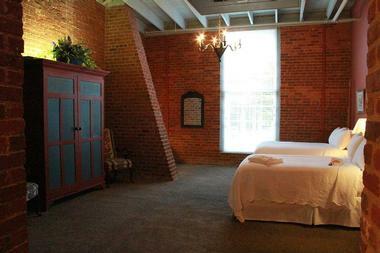 Located on the outskirts of Downtown Winston-Salem, the inn has preserved the original structure of the building and boasts interiors with grand ceilings, original wooden beams, and exposed brick. The historic Deerwoode Lodge and Cabins are ideal for a romantic getaway for two. Tucked away in the Southern Appalachian and Blue Ridge Mountains, the beautiful lodge is the perfect location for exploring Western North Carolina and enjoying all the area has to offer. Built in 1923 as a summer camp, the lodge was closed in 1991 and has since reopened as a tranquil, adults-only retreat. Deerwoode offers charming and romantic cabins that feature en-suite bathrooms with soaking tubs, climate control, a small fridge, and private porches with lovely views. Spend your time here canoeing or hiking on the lakes and French Broad River, hiking and biking the mountain trails, or soaking up the serenity of the surrounding landscapes. The Franklin is an urban oasis in the heart of Chapel Hill, ideally located for exploring the town. Conveniently situated within walking distance of the Ackland Art Museum, DSI Comedy Theater, and the Kenan Stadium, this modern, stylish hotel offers an excellent weekend getaway. Contemporary guest suites feature all the usual comforts expected from an upscale hotel, such as king-sized beds dressed in Egyptian cotton sheets and fine linens, en-suite bathrooms with baths and showers, mini-fridges, and LCD TVs with cable channels. All rooms have iPod docks, free Wi-Fi, and lovely city views. Charlotte is a modern, vibrant city with rich history and thriving culture. It is well known for its 150,000 square foot NASCAR Hall of Fame, a large number of fascinating museums and many churches of all denominations that have given Charlotte the nickname ‘The City of Churches.’ Charlotte’s art scene is represented by the renowned Mint Museum and the Bechtler Museum of Modern Art at the Levine Center for the Arts. Even kids that do not like museums will love playing and exploring at the Discovery Place that focuses on the natural history as well as at ImaginOn, a kids’ library and theater where they are encouraged to express themselves. UNC Charlotte Botanical Gardens is a beautiful place to spend some quiet time surrounded by magnificent collections of native plants and trees and their cousins from exotic places around the world. Get the feel of real Wilmington by starting your visit at the beautiful Riverwalk, an always busy boardwalk that meanders along the banks of the Cape Fear River. As you stroll, observe some of the city’s most important landmarks such as the USS North Carolina, the historic 1914 Murchison Building and the Cotton Exchange. You can explore Wilmington’s large Historic District the old-fashioned way in a horse and carriage, or in a more traditional way from a riverboat or by hopping on a trolley car. One of the most beautiful downtown attractions is the magnificent antebellum Bellamy Mansion that today serves as a Museum of the city’s elegant past. Enjoy a stroll through the enchanting Airlie Gardens with a huge collection of azaleas and camellias. Soak up the city’s thriving art scene at the Cameron Art Museum and River to Sea Gallery, where local artists showcase their works. Nestled in the magnificent Blue Ridge Mountains, Asheville has a lot to offer its visitors, both indoors and outdoors. Take a tour of the opulent 1895 Biltmore Estate, a fairy tale castle owned by the Vanderbilt family. 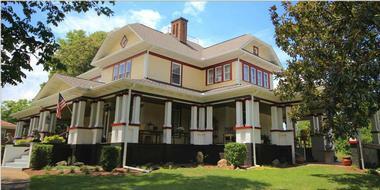 For more history, visit the Thomas Wolfe Memorial, the home of American writer Thomas Wolfe. Visit the collection of Appalachian Craft at the Folk Art Center, with pieces from more than 1,000 local artists and craftsmen. Take a hike through the sprawling North Carolina Arboretum at the Pisgah National Forest to learn more about the native flora. Let the kids meet some local animals such as black bears and wolfs at the Western North Carolina Nature Center. Why is there a huge sculpture of a snorting bull in downtown Durham and why do locals call it the Bull City? Like so many university towns, Durham is under the spell and charm of the world-class Duke University, its lively students and their popular baseball team Durham Bulls. While in town, try to catch a game at Durham Bulls Athletic Park where you can see ‘The Blue Monster’ wall. There is so much history in Durham, and the best way to get a feel for it is by strolling through the West Point Park on the Eno River. While there, you can visit the West Point Mill, a replica of a mill from colonial times, the McCown-Mangum farmhouse built in 1850s and the former tobacco pack house that now houses Hugh Mangum Museum of Photography. There is always something going on at the Durham Performing Arts Center and the kids will be thrilled to see 90 of the cutest rescued primates at the Duke Lemur Center. If art is what you’re looking for, be sure to check out the Nasher Museum of Art at Duke University with its large collection of pre-Columbian art. Chapel Hill is a charming Southern city that was built around the University of North Carolina, the oldest public university in the country, established in 1795. Today, Chapel Hill has a thriving art scene you can check out at the Ackland Art Museum, with its 17,000 art pieces from all continents. Kids will enjoy exploring The Morehead Planetarium and Science Center, and Kidzu Children's Museum, where they can climb the large climbing wall, a crow’s nest and a tree house, and learn about nutrition while having fun. Don’t miss the haunted Gimghoul Castle, surrounded with mystery and fairy tales. Out of the many beautiful Chapel Hill green spaces, you will probably enjoy most the stroll under the tunnel of trees at the Coker Arboretum, established in 1905. You will understand why Raleigh is called ‘the city of oaks’ as you stroll through the beautiful oak tree-lined streets and many lush parks. Modern and vibrant, Raleigh has a long and colorful history and the best place to learn about it is the North Carolina Museum of History that covers 14,000 years of human settlement in the area. The North Carolina Museum of Natural Sciences completes the picture with stories of other species that lived in the area such as whale skeletons, dinosaurs and live animals. When you get tired of museums, take a walk through the colorful, fragrant JC Raulston Arboretum, managed by the NC State University, or pick up some fresh fruits at the huge Raleigh Farmers Market. Kids will be thrilled with the Go Ape Treetop Adventure Course. Located in the Blue Jay Point Country Park, the course includes five zip lines, rope ladders, a Log Swing, Tarzan swings and other adrenaline-pumping activities high up in the treetops. If you are looking for great	North Carolina vacation spots, don't miss a trip to Raleigh. Greensboro was built around a central courthouse square. To start your exploration of this historic North Carolina city, go to the Guilford Courthouse National Military Park. Learn more about the city’s history and heritage at the beautiful Greensboro Historical Museum. The Weatherspoon Art Museum has more than 60,000 pieces of art, focusing mostly on American artists. The Greensboro Children’s Museum is a very different kind of museum. Children can touch, feel, smell and explore everything that is displayed. Keep kids happy by visiting the Greensboro Science Center, which has not only a museum but a zoo and an aquarium. Take in some fresh air at the Tanger Family Bicentennial Garden, where nature’s art competes with magnificent bronze sculptures. 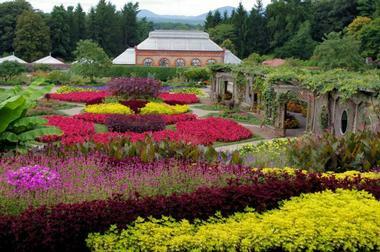 The Greensboro Arboretum, with its profusion of blooms and more formal Gateway Gardens, is also a must see. You can feel the history in Winston-Salem wherever you go. Take a stroll through the Old Salem Museums & Gardens in the city’s historic district or walk through the Bethabara Park, a restored 250-year old Moravian settlers’ religious village. The Museum of Early Southern Decorative Arts will give you a sense of the city’s art scene. You will make kids happy with a visit to the downtown Black Mountain Chocolate Factory. They can do some drawing and painting in the fun, interactive Children's Museum of Winston-Salem, or see the fun side of science at the SciWorks facility. Both kids and kids-at-heart will enjoy checking out old race cars at the Winston Cup Museum & Special Event Center.